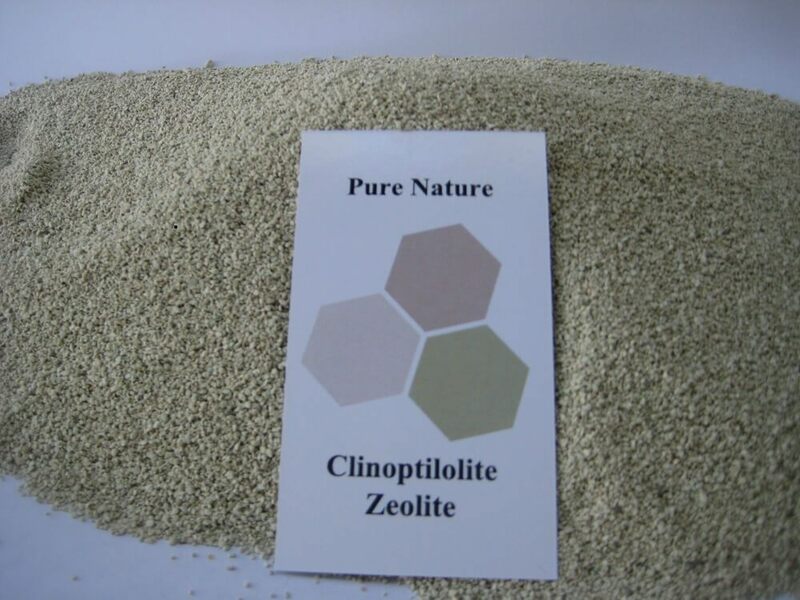 Zeolite is a natural volcanic mineral found in deposits throughout the western half of the United States. 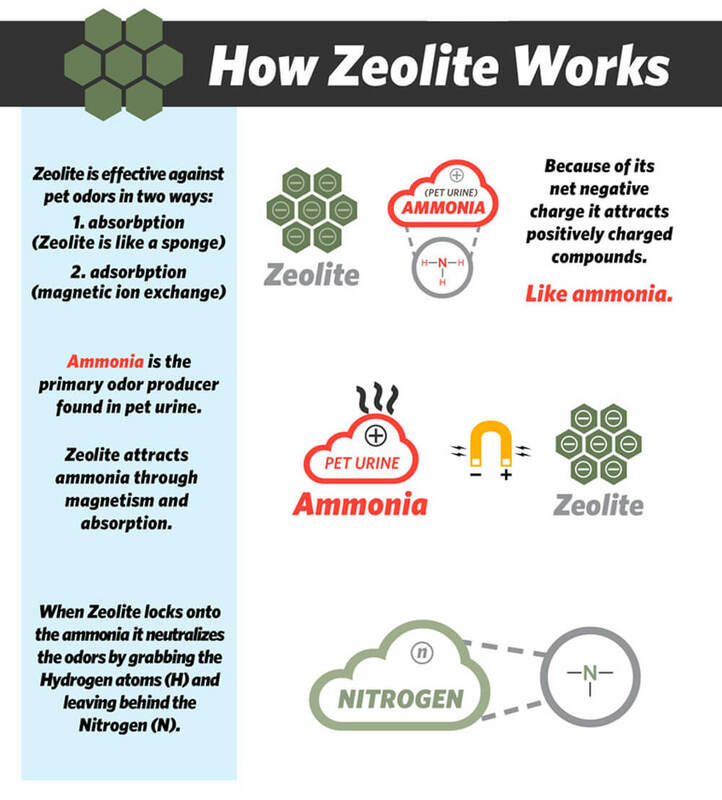 Zeolite is one of the rare minerals that possess a natural negative charge. 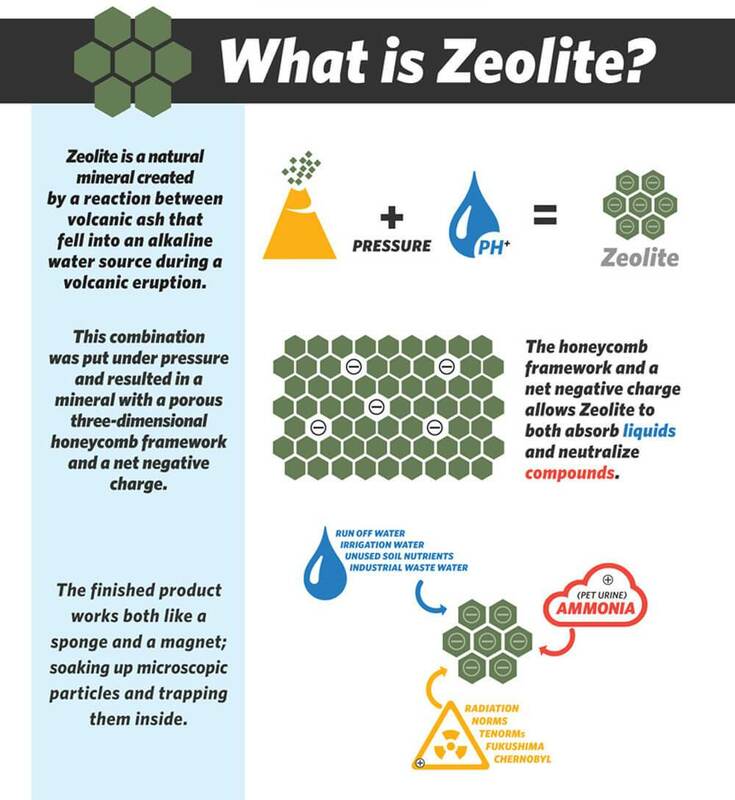 The combination of the honeycomb structure and net negative charge allows Zeolite to both absorb liquids and adsorb elements based on the strength of the chemical bond. The magnetic attraction an element has to Zeolite is called the CEC value or ability to ion-exchange while the honeycomb structure utilizes molecular sieve to filter compounds. Generally, natural zeolite consists of an open, three dimensional cage like structure with a vast network of open channels. These channels flowing throughout each granule are what make zeolite such a capable absorbent. Once the loosely bound, positively charged atoms (cations) travel through a channel, they become bound to the negatively charged honeycomb structure. Zeolite has an aluminosilicate framework. Which simply means minerals composed of aluminium, silicon, and oxygen, plus countercations. This framework provides exceptional strength and stability to the honeycomb structure. It also makes it very difficult for the positively charged atoms (cations) to leach from Zeolite. There are a few factors that determine the absorption/adsorption capabilities of natural Zeolite. They are molecular structure, surface area, surface charge density, and cation exchange capacity. These factors will determine bulk density and stability under various conditions. For example Zeolite may have a higher bulk density after it has adsorbed heavy metals due to the fact it has added matter to itself. The smaller the granule size of Zeolite the more it will absorb and adsorb due to the added surface area. The varying sizes allow for different industrial applications. The smaller the size, the faster absorption will occur alongside exponentially increased surface are. Larger granule sizes are useful for water clean-up projects or water filters. The larger sizes allow for water to flow at higher rates and to the desired back flow pressure. We have created custom mixtures or spec material in the past. Reach out to us with your inquiries on custom Zeolite mixtures.